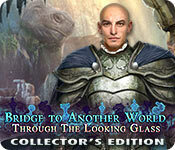 Bridge to Another World: Through the Looking Glass Collector's Edition is rated 4.4 out of 5 by 48. Rated 5 out of 5 by CourageAngel from Alice Goes to War! Or not... 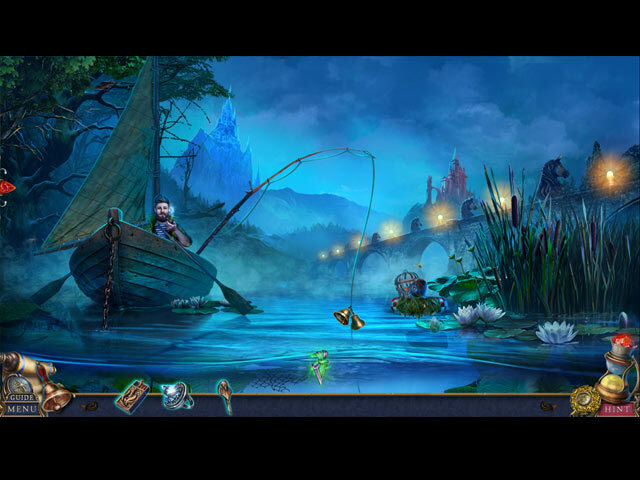 There are similarities to be found between this one and the "Shadowland" game. This is especially true with certain characters and the bonus game. I did enjoy this game, and the idea of moving up in the ranks from a pawn to a queen piece was an interesting idea. The game had a... nice story, though it got a bit predictable in some areas. I didn't care too much for the ending of the main game, though I can understand why it ended as it did. The bonus game has the player taking the role of "Hatter" and mixing in elements from a certain previous game. I'll leave it a surprise, but they make it pretty clear afterwards that they are now living in Wonderland and have helped a certain king, prior to a certain rebellion and woman appearing. Overall, it was a nice... sequel/prequel game. I would love another game in this series! Rated 5 out of 5 by TheRealMagicJack from Definitely Play The little interactive things that change when I click it, but have no roles in the story, is a wonderful enhancement that I think other developers should implement more in their games. Even on hardest setting the puzzles were a breeze, sometimes giving clues when I didn't want them, though that's just a personal preference and doesn't demean this fun adventure that shouldn't be missed. Rated 5 out of 5 by moondoe from Everything I want in a game. I have been so bored with most games recently. i enjoyed this from beginning end. 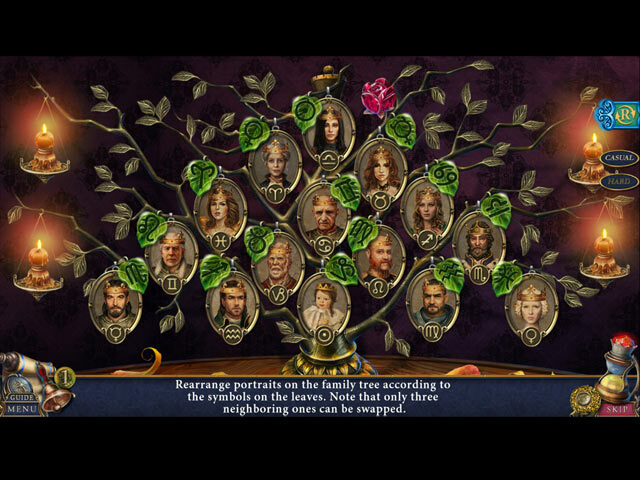 The storyline was good enough that I, actually, paid attention to it .Hidden Object games with a twist. Morphing items.Collectables. Puzzle pieces and more. Rated 5 out of 5 by lynnminer from SO Glad I Decided To Try This Game!! I was hesitant to buy this, but I did because of the great reviews. I made a great decision! This game is incredibly fun. 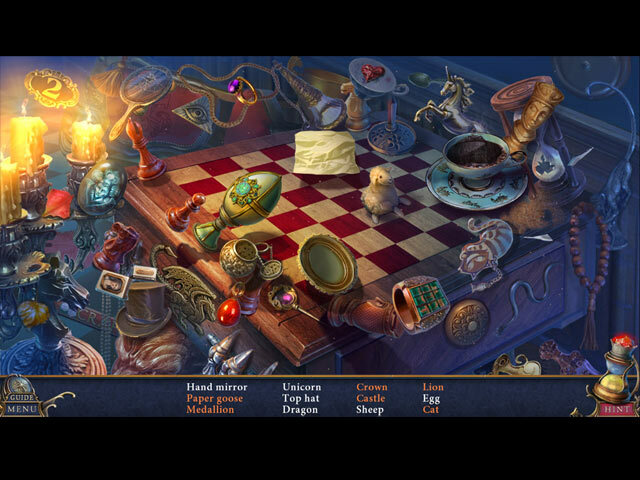 I LOVE puzzles and there are a lot.I found the chess piece puzzles (there are several) to be fun and challenging.I especially liked rafting through a maze and collecting items to use on the obstacles. Kind of like a treasure hunt to find the right things. The story-line was great! (and kind of sad) I actually thought it was going to be corny but it wasn't! I highly recommend this game! Rated 5 out of 5 by Debbibo from Excellent! So much better than what's been offered recently. Clever and engaging, new twists, great length and you get your money's worth. My only complaint is the voice acting, amateurish at best and a little jarring. Enjoyed playing the HO scenes, not too easy, and especially enjoyed the absence of gratuitous violence and gore! Rated 5 out of 5 by lamp_post from FUN GAME FROM FOUR FRIENDS Yes, I had fun playing this game. I truly liked the story line....so different from what most Devs are offering lately. The graphics are excellent. There is a lot to do, but do not rush because there is so much to see and if you click on things they light up or move or change colors.....It is awesome! The HOPs were great as were the puzzles. A few of the puzzles take a while to figure out, but they are doable. I love morphing objects and the puzzle pieces were cool....in the extras..you can put the jigsaw puzzle together. Another great game from 4 Friends and well worth the money! Rated 5 out of 5 by techblogger911 from GET IT! If you are new to mystery games then I suggest you to get this game, one of the best games for the genre to be honest. The trial will speak for itself. I am impressed as the other games! Rated 5 out of 5 by BooksandGameFan from I adore this series! This was one of the best! I love this series it's one of the best on Big Fish! This newest chapter in this series is fantastic! I just adored everything about this game. The graphics, storyline, music, hidden object scenes and even most of the mini-games! This game was so entertaining and so well thought out that it flowed beautifully. I started to play this game around 8pm and before I knew it it was 3am? I did not realize that much time had gone by I just knew I wanted to keep playing and I wasn't going to stop until the end! I saved the bonus game until the next day so I'd have something to look forward to. This game for me is tied with Whispering Secrets Enfant Terrible for game of the year! Perfection! Yes, I highly recommend this game. Rated 5 out of 5 by jackiern from Great game I truly enjoyed this game. Puzzles weren't that difficult which is a plus for me. Enjoyed the story line. Can't wait for the next one to come out.